We’re taking the plunge and entering this free competition for the first time and we hope as many of you as possible will help to ‘do your bit’ be it picking up any stray litter, adopting one of the new planters or helping to do a bit of weeding or tidying. The competition is being run by Wiltshire County Council and there are a few small cash prizes, but at the end of the day, it’s all about us taking some pride in our little corner of Wiltshire! Froxfield has signed up to the community speedwatch programme and volunteers are being sought. 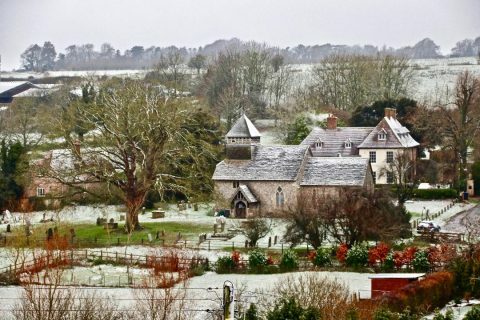 Could you spare an hour or two a month to help keep our village safe? Training will be provided and you will be working in pairs or groups at designated sites throughout the village to log motorists doing in excess of 46mph. A recent article in the national press about a CSW group in Staplehurst saw them log 133,000 motorists speeding through their village in JUST ONE WEEK, some of whom were doing 70mph in a 30mph zone!! We are currently working hard with Wiltshire Council to get some road improvments for the A4 to try to cut down the speed of drivers. Unfortunately we do not fit the criteria for a further reduction to 30mph but they have agreed to move and improve the 40mph signs and zones through the village and create road markings which will give the illusion of a narrower road which are are told encourages drivers to slow down. Coupled with some Community Speedwatch sessions, we are hoping to see improvements in the coming months. Work has started on restoring the water meadow and creating a new community space and nature reserve. We were able to secure the help of the Community Payback team who strimmed alot of the weeds, nettles and brambles in November and December 2018. Once this was done, it enabled the tree surgeons access to assess the trees. Some of the more urgent work to the trees, some of which were quite diseased and others very overgrown was completed in January 2019. 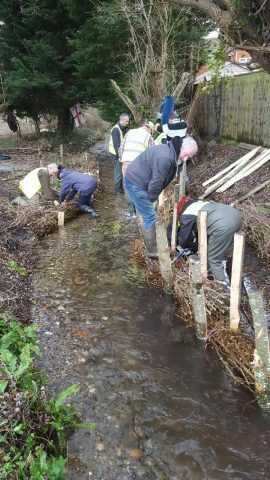 Action for the River Kennet (ARK) brought their volunteers and a few residents from the village helped with restoring the banks of the stream on 3 Saturdays in January/February 2019. 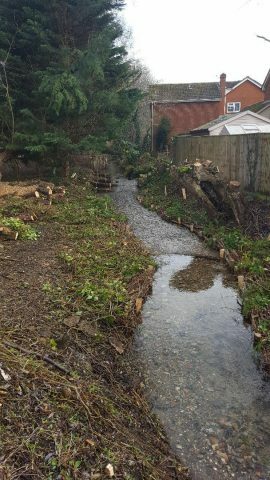 This was done to improve the flow of the stream, which in turn cleans the silt and improves the quality of the water allowing invertebrates to establish and spawn. 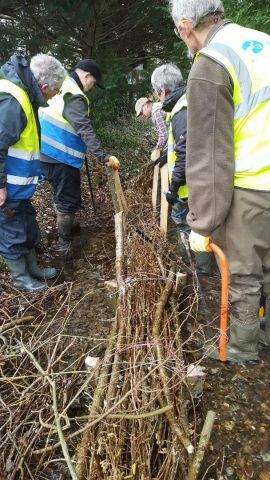 Wooden stakes were driven into the river bed to allow bundles of hazel branches known as faggotts to be placed in between them along the banks. These were then infilled with branches which channels the water creating a better and more sinuous flow. 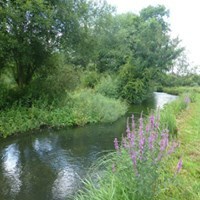 The next step on Saturday 30th March 2019 is the exciting bit…………….. the planting of the marginal species such as sedge and flag iris which will soon take hold and cover the faggotts. This will create a lush bank of flowers to attract insects, bees, butterflies and other pollinators. There has already been sightings of a kingfisher, egrets and yellow wagtails. As the year progresses, there will be more work including the creation of a dipping pond for children with a boardwalk and platform plus screening along the roadside with hedging. It might look a bit barren now, but hopefully this time next year, it will be a place to wander through and admire. The next Parish Council meeting is on Monday 11th March 2019 at the village hall. The councillors will be at the hall from 7pm if you wish to speak to them prior to the meeting which starts at 7.30pm. Please do come along, everyone is welcome. Welcome to our brand new Froxfield Community website!